Watch for updates in the fall – this yearly event is for any musically inclined folks and takes place each September. What is it? 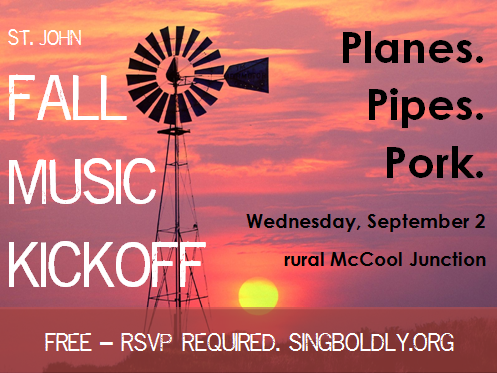 A fun evening of eating and singing at the home of Roger Bailey in rural McCool Junction. This involves an airplane hangar, an enormous collection of full-sized windmills, and a home pipe organ. When: Wednesday, September 2. Carpools will leave St. John’s west parking lot at 5:25 p.m.